Al Qaeda’s affiliate in Somalia, al Shabaab, has suffered a series of defeats at the hands of Somali clan militia forces, internationally-backed African Union peacekeeping troops, and Somali federal government forces. 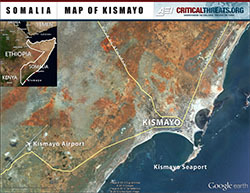 Notably, al Shabaab lost a major stronghold in the southern Somali port city of Kismayo at the end of September 2012. As al Shabaab suffered setbacks, the Somali government made major progress: The United States formally recognized a government of Somalia in January 2013 for the first time since 1991, for example. The government controls the majority of Mogadishu today, whereas it held only a few blocks of the capital city in 2010. Yet the Somali federal government’s sovereignty over the territory recognized as Somalia is far from complete, and faces significant challenges. Somaliland, which declared its independence in 1991, has been relatively stable and has sought recognition as a separate state. Puntland established a separate government shortly thereafter, but the semi-autonomous region remains nominally part of the federal Somali state. The defeat of al Shabaab in southern Somalia has galvanized a movement to establish a similar region – Jubbaland – that would also be nominally part of a federal state. The initiative did not stem from the federal government, but rather from local warlords, threatening a codification of the form of the warlordism that originally collapsed the Somali state. America’s counter-terrorism strategy in Somalia relies heavily on having a partner there that will continue to combat al Shabaab. The U.S. invested heavily in training and equipping the African Union peacekeepers, who for a long time served as one of the few forces opposing al Shabaab. It now seeks to work with the Somali federal government to stand up the national security forces to replace the peacekeeping force. But the reconstitution of the Somali state to the point where it will be a meaningful counter-terrorism partner for the United States requires a level of stability and federal control unlikely to be achieved should the Jubbaland initiative succeed. 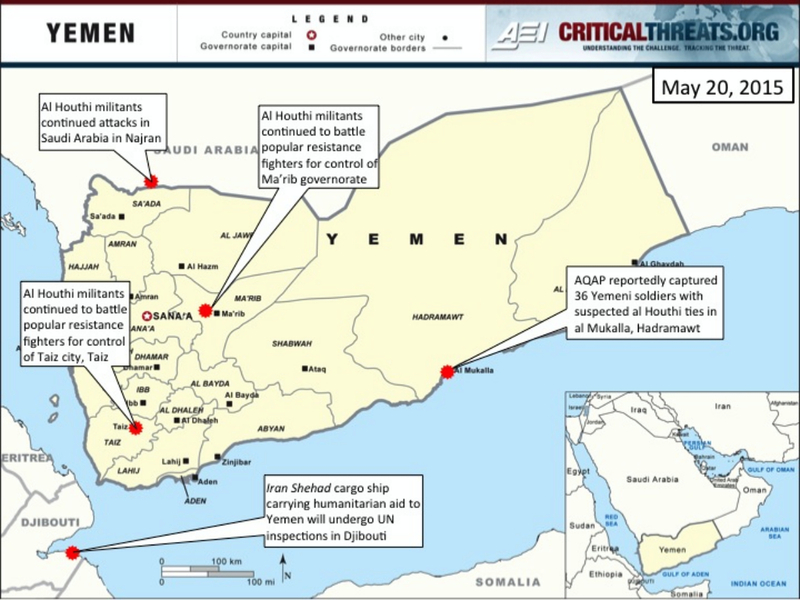 The outside-of-government push for a semi-autonomous region in the south, and the federal government’s inability to manage the crisis, exemplifies the challenge ahead not only for Somalia, but also for American counter-terrorism strategy in the Horn of Africa. Click to enlarge Jubbaland map. Supporters of Jubbaland – constituted by the three southern-most regions of Lower Jubba, Middle Jubba, and Gedo – have organized and are moving forward with plans to establish their own government based in Kismayo in direct opposition to the federal government’s plans. The port revenues from Kismayo are substantial, and the ability to control their distribution has historically driven local conflict over control of the city. Despite the withdrawal of al Shabaab from the city last fall, there is still no local government administration recognized by the Somali federal government sitting in Kismayo. Instead, local powerbrokers with foreign support are attempting to determine the shape of the local administration. There are now four candidates claiming to be in control. Kenya and Ethiopia, both of which border Jubbaland, have backed two rival candidates and the Somali federal government has denounced all claims to power, but cannot enforce its will. Meanwhile, al Shabaab does remain a threat and should the opportunity present itself, the al Qaeda affiliate may also seek to re-establish its control over Kismayo and the city’s resources. Debate over who controls Kismayo, one of only three deep-water ports in Somalia, has long driven local conflict as different clans vie for access to its resources. The city is arguably one of Somalia’s most economically important cities. It is a key node in the lucrative charcoal export trade, a highly sought-after source of revenue for local actors. Al Shabaab’s hold over the city and the significance of the charcoal trade as a source of funding for the al Qaeda affiliate prompted the UN to ban the export of charcoal from Somalia in February 2012. Additionally, recent oil and gas discoveries off the coast of East Africa have driven up the potential future value of Kismayo. The city itself changed hands multiple times over the past decade as local clans have received external support to oust the sitting power. Al Shabaab, then part of the Islamic Courts Union (ICU), was initially pushed out of Kismayo in early 2007 by Ethiopian forces during the fight against the ICU. In August 2008, al Shabaab and allied Islamist militias, including one led by Ogadeni warlord Hassan al Turki, fought heavily for control of the port city. Marehan clan militias, led by warlord Barre Hirale, suffered heavy losses during the battle. Clans that supported the Islamists were reportedly rewarded for their loyalty through representation in the new administration. Fighting broke out again in October 2009 between al Shabaab and formerly allied militias, including Hizb al Islam, over the distribution of resources. Ogadeni militia leader Ahmed Madobe led one of the Hizb al Islam factions that unsuccessfully fought al Shabaab for Kismayo. Al Shabaab would continue to control Kismayo until September 28, 2012, when its forces withdrew from the city as Madobe’s militia, the Kenya-backed Ras Kamboni Brigade, Kenyan troops fighting under the African Union Mission in Somalia (AMISOM) mandate, and Somali government forces closed in. Despite the withdrawal of al Shabaab from Kismayo in September 2012, the Somali federal government has been unable to appoint a local administration that exercises control of the city and surrounding areas. Clan militias that had fought on the side of the government against al Shabaab are divided over who will control the port city now, but are also unwilling to turn control over to the government itself. Instead, local powerbrokers have been engaged in negotiations as to the constitution of the Kismayo (and Jubbaland) administration that would, in effect, override any decision made by the federal government. Clan interests, particularly those of the Ogaden and Marehan clans, are driving these negotiations. In the meantime, de facto control has fallen to Ahmed Madobe’s Ras Kamboni Brigade, which has exhibited its monopoly of force in Kismayo by either refusing to provide security for or even preventing the entry of visiting federal government officials. Both of Somalia’s neighbors have historically backed separate clan militia forces to take control of Kismayo, and these lines of support appear to continue today. There are reports that Ethiopia and Kenya held closed-door meetings to discuss the formation of a multi-clan, representative government even before Kismayo fell from al Shabaab control. Such neighborly meddling in internal Somali affairs, and competing attempts to shape the outcome in Jubbaland, may undermine the Somali federal government and scuttle the state-building process underway in the country. Kenya has thrown its support behind Ahmed Madobe, empowering him against al Shabaab under the so-called Jubbaland initiative, which sought to create a buffer zone between al Shabaab and Kenyan territory. Madobe’s success would bolster the Ogaden clan in the region. This is a concern for Ethiopia, which has attempted to put down an Ogadeni rebellion whose supporters fight under the name of the Ogadeni National Liberation Front (ONLF) in its ethnically-Somali, and oil-rich, Ogaden region bordering Somalia. To stymie Ogadeni dominance in southern Somalia, Ethiopia has reportedly been subtly backing Marehan clan leader, and a long-time Ethiopian ally, Barre Hirale. Kenya and Ethiopia have each publicly denied these reports, and have instead issued statements in support of Somalia’s federal government. Current reporting indicates that revenue from the Kismayo port is not going to the government, however, but is being distributed in part to the Kenyan troops present in the city under the peacekeeping mission and to Ahmed Madobe’s Ras Kamboni Brigade. The Somali federal government’s inability to exert influence and control over Kismayo and the greater Jubbaland region allowed room for the Jubbaland convention to take place without the government’s consent. The convention initially brought clan representatives together to attempt to negotiate a division of power within the regional administration. Since the start, however, the process has been plagued with hindrances. Inter-clan fighting broke out even before the convention could get under way, which pushed the start date from February 23 to February 28. Marehan fighters attacked a Ras Kamboni-controlled police station on February 23, after a Marehan leader was killed in custody. Somali government troops tried to intervene to prevent further violence, but instead, were forced to engage militarily with the Ras Kamboni militia. By the time fighting ceased, at least 11 soldiers and civilians had been killed. Once the convention was underway, it began losing support from regional delegations quickly. Representatives from the Lower Jubba and Middle Jubba regions left the talks on April 19, citing unfair representation of regional clans and the influence of Kenyan and Ethiopian interests. Another delegation left the convention on April 24 saying it was unable to voice its opinions. The Jubbaland convention, in addition to neglecting regional powerbrokers, undermined the Somali federal government by shutting government representatives out of any meaningful discussions. The Somali federal government, which declared the process unconstitutional, was denied access to the convention on multiple occasions. For example, a plane carrying Somali government officials was forced to turn around and fly back to Mogadishu on May 12, after being held for several days at the Kismayo airport. High-level government engagement with the convention participants also failed. When Somali Prime Minister Abdi Farah Shirdon traveled to Kismayo to meet with Ahmed Madobe on March 25, talks collapsed after five days of negotiations and both sides accused the other of inflexibility. Recently, a Somali government delegation headed by Defense Minister Abdihakim Mohamed Haji Fiqi was sent to resolve the conflicting presidential declarations on May 28. His group was reportedly held at the airport for three days before being granted limited access to the city with a constant and armed Ras Kamboni guard force. Click to enlarge Kismayo map. The Somali federal government’s lack of power and military presence in the city allowed negotiations to unravel and the convention eventually ended with four different clan leaders claiming the Jubbaland presidency. Ahmed Madobe, the leader of the Ogadeni-dominated Ras Kamboni brigade, was the first person to declare himself president on May 15. He has strong support from the Kenyan government and the Kenyan troops, operating under the AMISOM mandate, stationed within the city. Reportedly, Kenyan troops are monopolizing revenues from the Kismayo port and are splitting the money with Ras Kamboni forces, which underscores their strong bilateral relationship. This Kenyan influence, and more accurately dominance, in the Jubbaland process has sparked protests within the city. Thousands of Kismayo residents flocked to the streets on May 19 to protest against Ahmed Madobe and Kenyan interests. At least three other clan leaders have come forward to claim the presidency following Ahmed Madobe’s May 15 announcement. The second most prominent contender for the presidency, Barre Hirale, is from the Marehan clan, a rival to the Ogaden clan. Hirale is a well-known warlord, who once served as the Somali minister of defense under the Transitional Federal Government. He was also the chairperson of the Jubba Valley Alliance and controlled Kismayo from 1997 to 2006. Hirale has been a long-time ally to the Ethiopian government, and it is likely that Ethiopia will support his bid for presidency in order to counter the Kenyan support for Ahmed Madobe. Two lesser-known political challengers are Omar Burale Ahmed from the Biraal clan, and Abdi Huseen from the Galja’el clan. Both Ahmed and Huseen have some support from local communities, but a lack of formidable fighting power could prove problematic if the situation devolves to violence. Security concerns are indeed escalating now that four different candidates, from four different clans, have claimed the Jubbaland presidency. Immediately following Madobe’s presidential declaration, residents in the city began evacuating for fear that clan-based violence would erupt. Reports of Ras Kamboni troops looting and killing civilians have also surfaced. Thus far, the Somali federal government has been unable to exert any amount of control over the situation. The government has denounced all of the claims to the presidency, but those protestations fell on deaf ears. The most recent Somali government delegation to Kismayo, sent on May 28, was allegedly detained at the airport for three days. A spokesman for Ahmed Madobe even threatened the Somali federal government, saying the deployment of Somali government troops to the Jubba regions would be considered an act of war. The United States, European Union, China and the Intergovernmental Authority of Development (the bloc of East African states) have all sent representatives to remedy the situation, but have been unable to bring Jubbaland political actors to an agreement. The rising instability in Kismayo has opened the door for a renewed al Shabaab presence in the city. As security deteriorates, al Shabaab, which has remained active in the city, may seek to continue to launch attacks inciting violence and creating a foothold in its old military and economic safe haven. Al Shabaab seems to be increasing its pressure on the already fragile city of Kismayo as security and order deteriorate. Al Shabaab announced a withdrawal from Kismayo in September 2012 in the face of a joint AMISOM, Somali and Ras Kamboni offensive operation to retake the city. There are reports that some fighters present in the city simply went to ground rather than withdraw, however, and al Shabaab leaders promised continued asymmetrical attacks. Since Kismayo fell, al Shabaab has carried out a series of successful bombings and targeted killings in and around the city. Just days after the retreat from Kismayo, an improvised explosive device detonated outside a Somali military base on October 2, forcing troops to evacuate the city and conduct search operations in the city. Another example of an al Shabaab attack in Kismayo is a coordinated double bombing that targeted a Ras Kamboni position on March 25. Bombings such as these prompt concentrated security operations throughout the city, during which hundreds of suspected militants have been arrested. It is not clear, however, how effective these operations are in dismantling al Shabaab cells. More recently, al Shabaab has carried out large-scale, heavy artillery attacks on Somali and AMISOM bases. Attacks targeted Somali and Kenyan positions at the Kismayo airport on April 30 and May 1. Almost a month later, al Shabaab once again targeted the Kismayo airport, shelling the area with heavy artillery on May 28. The Somali defense minister and his delegation were being held at the airport during the attack and may have been the intended targets. While al Shabaab raids, explosions and suicide bombings have occurred with some regularity in Kismayo, the large-scale artillery attacks are most worrisome, as they demonstrate increased al Shabaab military capabilities. These attacks may illuminate al Shabaab’s readiness to launch a campaign to retake the city should an inter-clan fight for control break out. The Somali federal government has exhibited its inability to exert political and military control over Kenyan and Ras Kamboni forces in the city, and will not have the power to fend off al Shabaab advances. If an acceptable Jubbaland government is not negotiated and peace fails, al Shabaab operatives in the city and the surrounding area will be able to re-emerge and make a convincing push for Kismayo. Al Shabaab’s success in regaining its former stronghold would jeopardize recent advances throughout the rest of the country. While recent advances against al Qaeda’s affiliate in Somalia, al Shabaab, have received international praise and established relative stability throughout much of the country, the current situation in Kismayo may threaten any new gains. The potential for the outbreak of inter-clan fighting between the four declared presidents of Jubbaland threatens the peace, not only in Jubbaland, but throughout the entire country. Kenyan and Ethiopian interests are overpowering the will of the weak Somali federal government, which is unable to exert control or influence in Jubbaland. So far, the international community has been ambivalent in mediating the situation in southern Somalia, but that is a grave mistake. If the current political crisis does devolve to violence, and Kenya and Ethiopia are not kept in check, war could re-emerge in a country too used to it. The issue is not limited to the Jubbaland region. Currently, less prominent disputes over control of local administrations in key cities and towns recaptured from al Shabaab may imperil the longevity of the gains toward stability in Somalia. These local disputes could provide al Shabaab with an opportunity to re-establish itself, especially if it is able to co-opt support from one of the parties to the conflict. A re-established, reinvigorated al Shabaab would likely setback Somalia’s success, and would re-create the permissive conditions in the country that allowed al Shabaab to rise to power in the first place. There were Somali militias that resisted al Shabaab as well, including Ahlu Sunna wa al Jama’a, which has fought primarily in central Somalia. For instance, authorities detained a government delegation at the Kismayo airport on May 12, forcing the officials to return to Mogadishu.